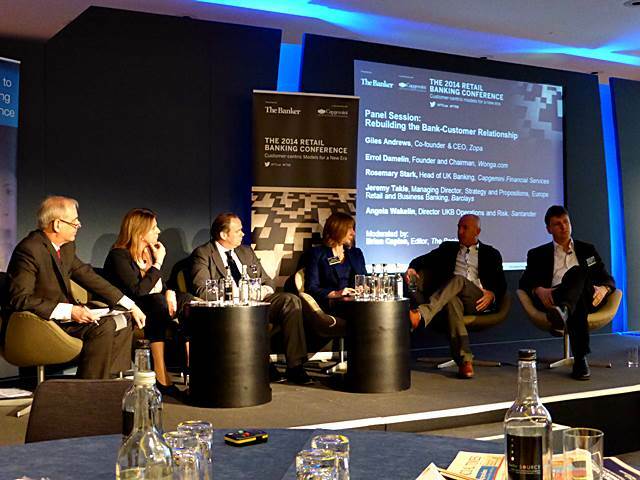 Top photos and insights from the Financial Times 2014 Retail Banking Conference on digital banking, social media and innovation. 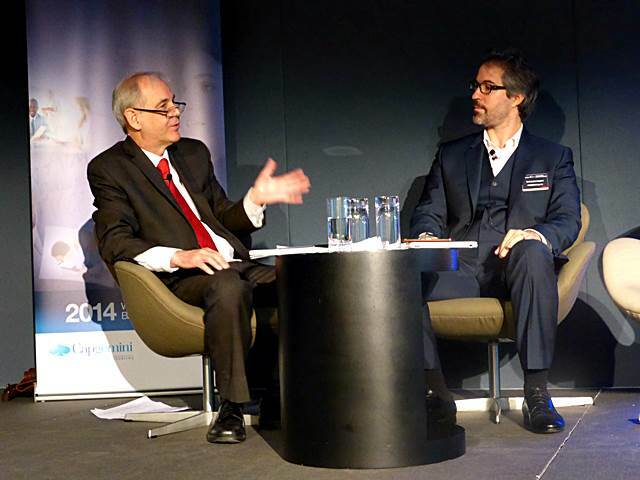 The Event was sponsored by Capgemini. 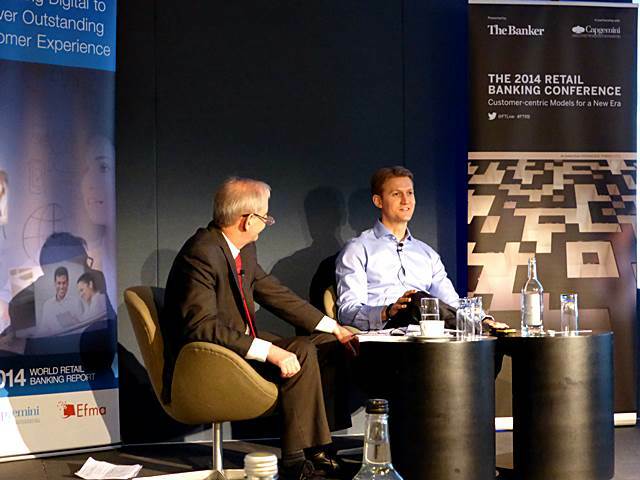 I just wanted to publish a short wrap up article on the Financial Times 2014 Retail Banking Conference which took place earlier this week. 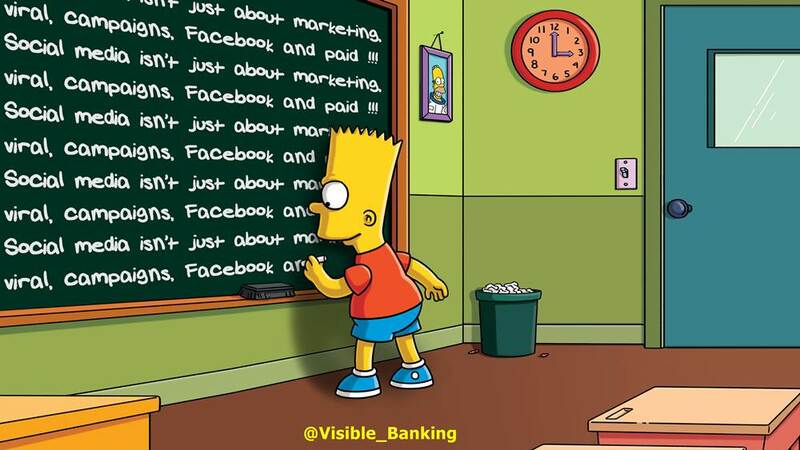 Despite a severe tube strike paralysing most of London, 50+ highly-ranked banking delegates joined us to listen to and challenge me and my fellow speakers on the topics of digital and mobile banking, innovation and social media banking. And considering the quality of the conversations, I trust it was well worth of their time. It was great to catch up with a few friends from the industry, like Errol Damelin, and finally meet in person a number of active twitter users like Bill Sullivan (@WFSULLIVAN3) and Rosine Suire (@RosineSuire). 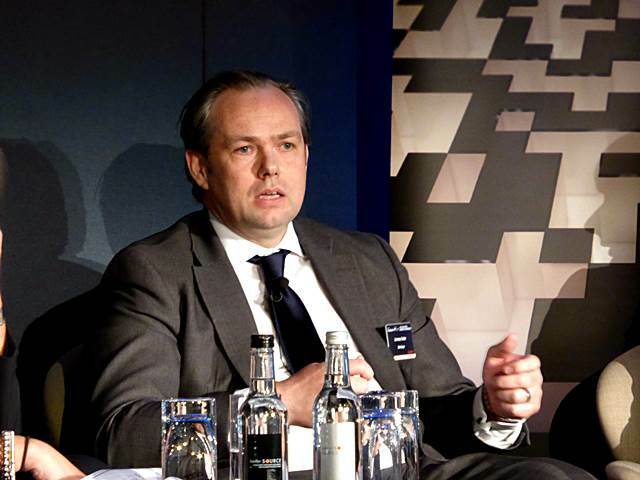 Jean Lassignardie – Group Vice President, Chief Sales & Marketing Officer at Capgemini kicked started the event by talking us through the key findings of their World Retail Banking Report 2014 in collaboration with the EFMA. One of the most striking insights from this 3rd annual report from Cap Gemini was the apparent appetite from banking customers to access their bank account on popular social media channels like Facebook or twitter. On that topic, I invite you to read another insightful article from Tom Groenfeldt (@tomgroenfeldt) on Forbes.com, ‘Bank Clients Want Social Media Account Access‘. 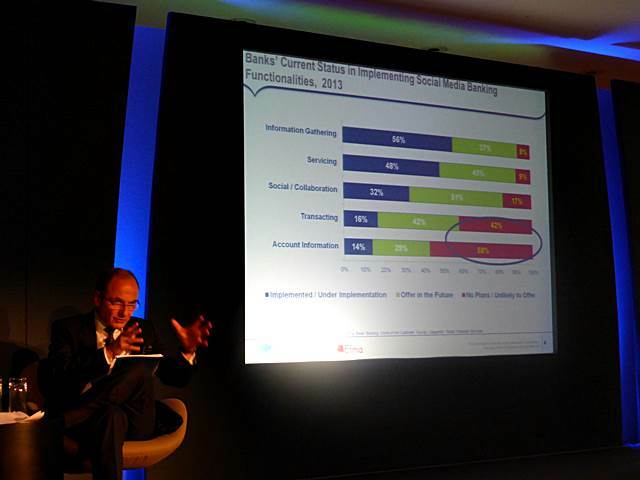 But so far, this appetite for more integration between banking and social media is not necessarily backed by the Facebook and twitter users. The current social banking leaders, banks with sizeable Facebook communities like ICICI or Kotak Bank in India, GTBank in Nigeria, are not enjoying any massive adoption and usage of their apps. ‘Au contraire’, the overall level of adoption is minimal to say the least. Daryl Wilkinson – Head of Group Digital Development at Nationwide delivered an excellent keynote on the impact of digitisation which included a good mix of key insights from the various digital programmes successfully rolled out by Nationwide in the last couple of years, a number of best practices in the field of customer experience from the likes of Apple and the late Steve Jobs, Google (Daryl believes Google Glass will become mainstream eventually) and even Disney (in particular, their fingerprint-based technology for a 100% cashless experience in their US parks), as well as Daryl’s own beliefs on topics like social media and wearable tech (he wears a Pebble watch -I’m personally very much looking forward to the upcoming Moto 360– and uses myfitnesspal). 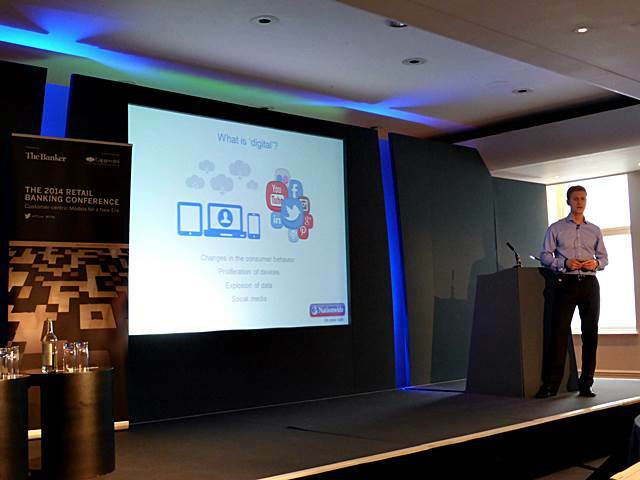 Daryl started his presentation by confirming that Nationwide’s mobile banking customers are ‘visiting’ the bank significantly more often than online banking customers, let alone branch customers. Daryl also proudly shared his approach to innovation and new products and services: they never aim to fail, but to always get it right from the first time (via a thorough process involving research and user testing). 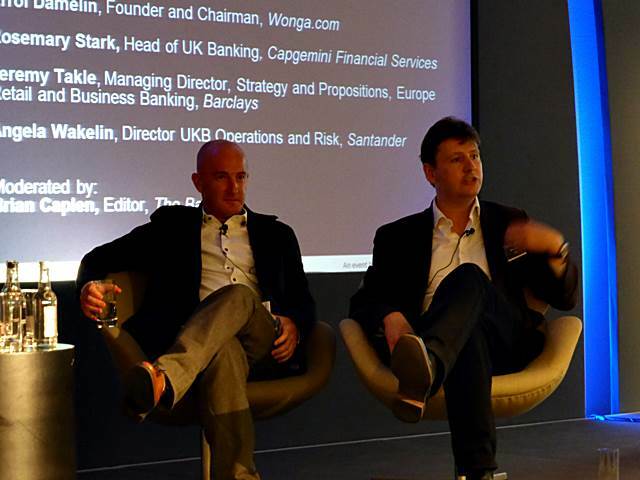 One of the highlights of the event was the panel session which gathered a couple of bankers, a couple of top disruptors and Capgemini’s Head of UK Banking – Rosemary Stark. 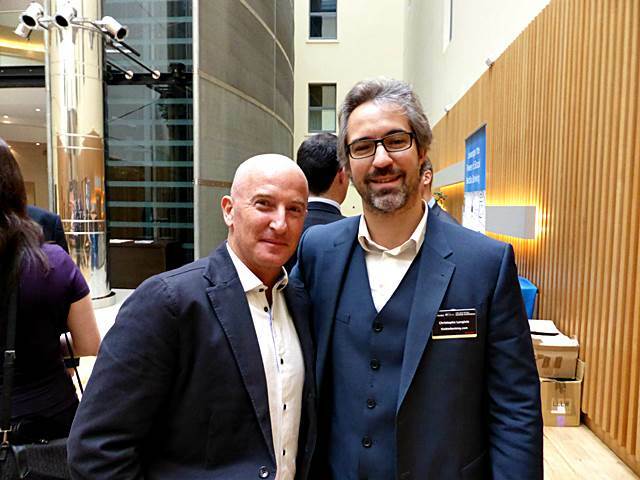 As you would expect, two of the most interesting -at time heated- conversations came from the Founders of two of the most high-profile financial services start-ups launched in the last 5-10 years: Wonga‘s Errol Damelin and Zopa‘s Giles Andrews. Please note that most of the quotes above are not literal quotes. 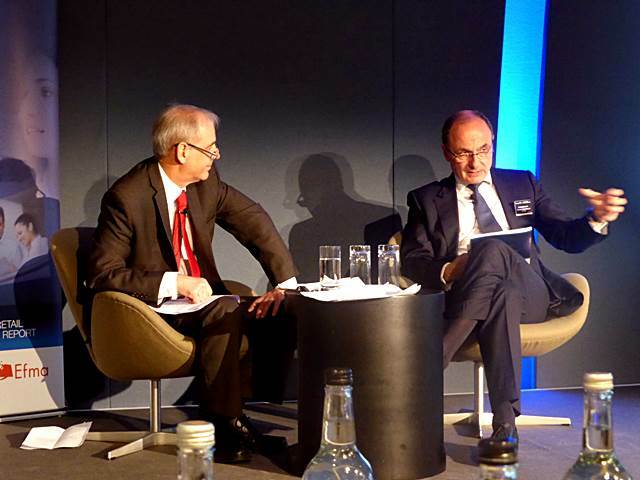 It is worth noting that some of the views on the role of banks shared by Giles and Errol were not shared by Barclays‘ Jeremy Takle and Santander‘s Angela Wakelin. 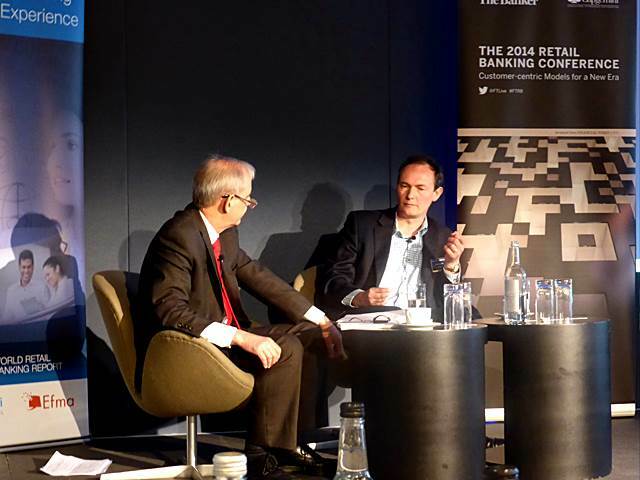 Jeremy, who compared social media to “word of mouth on steroids”, doesn’t see fragmentation as a value driver and he believes in the massive synergies all across a retail bank like Barclays. Angela believes it is critical for banks to understand their customers, listen to what they have to say and maximize your ability to adapt to those new customer expectations. 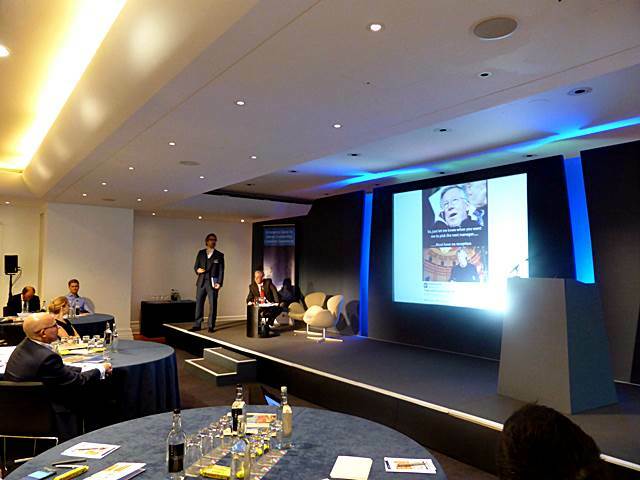 Last but not least, I believe our session -with Nigel Sheldon– on ‘the social media challenge‘ was also a success. Nigel shared his experience as Director Social Media for the Barclays Bank Group and talked us through the top 6 areas for any social media programmes to succeed. 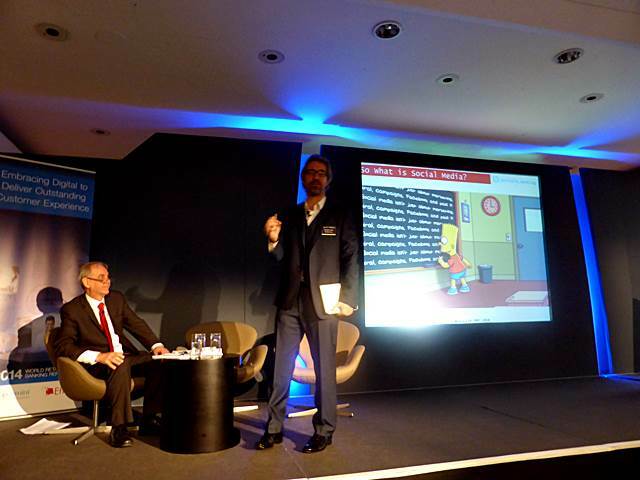 As far as I am concerned, I was delighted with the response from the audience to my brand new 10mn presentation which included a short video I had custom-made for the Financial Times 2014 Retail Banking Conference. I shared a few personal stories and I highlighted a number of key applications of social media, over and beyond marketing such as social customer care and crowdsourcing. As usual I’ve been busy not only capturing as much content and insights as possible, but also taking photos of my fellow speakers and panellists. You will find a few photos from the event below, and a larger selection directly on my google+ page. 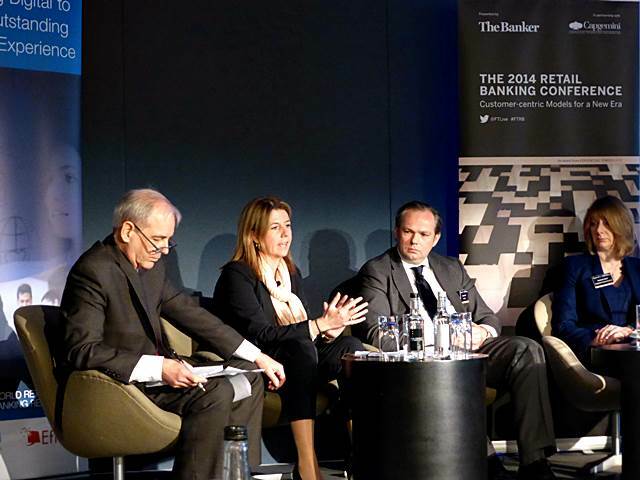 According to you, what is the area with the biggest potential to transform the banking industry among all the topics covered at the 2014 Retail Banking Conference: digital banking, social media, open innovation, mobile banking? I invite you to reach out and share your views on those exciting topics here, on twitter or on google+.